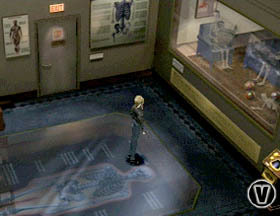 True to its claims, Parasite Eve often looks sleek, inspired, and beautiful - like a good film. The scenery throughout the game is composed of still 3D-rendered images of mostly authentic New York locales, and the quality and detail of these various settings is astounding. Whether you're searching through Central Park in the middle of the night or rummaging through the slums early in the morning, Parasite Eve looks consistently real. The background art looks so good that you will often find yourself admiring your surroundings instead of forging onward in your quest. The various polygonal characters aren't quite as sharp as the backdrops, but their motions and actions during plot sequences are expressive and believable. As Aya, you will have to shoot your way past scores of monsters, all of which are your typical mutated urban animal variety and thence not particularly imposing. And though some of the boss monsters are both creepy and fearsome, like a particularly large and ill-tempered three-headed hound, for the most part your opposition will fail to impress. 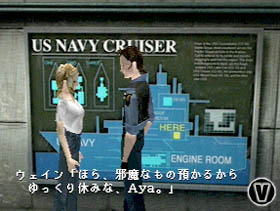 Even a discriminating connoisseur of computer-generated cinematics would be awestruck at several animated cutscenes over the course of Parasite Eve. While the cinematic sequences are never particularly long, they are frequent and almost always amazing - all the more so toward the end of the game. Among other things, you'll witness breathtaking panoramic shots of New York City, grisly deaths or even grislier metamorphoses, and even some good old-fashioned military intervention. Though there's hardly enough CG here to make up a feature-length film, there's plenty of the stuff to keep you going all the way through. It's integrated seamlessly into the game and makes key plot sequences much more dramatic and the entire game more memorable overall. Parasite Eve also would have benefited from a more consistent soundtrack. Most of the music in the game consists of appropriately moody techno tunes, and it's all quite good, if forgettable, much like techno tends to be. However, the battle theme is uncharacteristically mellow, while the opera sequences are thwarted by an awful warbling opera-sounding keyboard instrument that doesn't sound anything like a real voice. 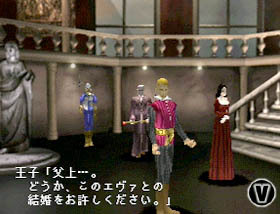 Furthermore, some gameplay sequences are conspicuously devoid of any background music. While silence, when implemented skillfully, may lend drama or tension to a scene, it just feels really awkward most of the time in Parasite Eve. In particular, it's difficult to believe that a New York City street might ever be silent at any time of day. 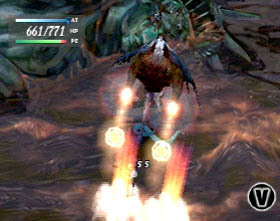 Meanwhile, the various sound effects in the game share a common trait of being subdued and muffled. Aya fights through the game using everything from pistols to rocket launchers, but the sound never does any of these weapons due justice. 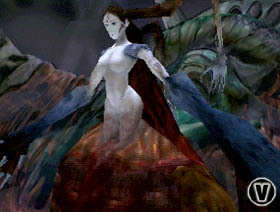 Final Fantasy VII's influence on Parasite Eve's gameplay is obvious. You can easily move Aya about by means of a control pad, or better yet an analog pad like the Dual Shock. The camera perspective tends to change from scene to scene, forcing you to reorient yourself and the way you move the character about. Battles pop up out of nowhere much like in Final Fantasy VII; the screen suddenly goes colorless, you hear a heartbeat, and one or more enemies appear and attack. 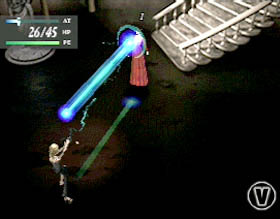 Parasite Eve uses a unique combat system where you must maneuver Aya about the battlefield as she prepares for her next attack. The end result is that combat plays out more like an action game than an RPG. Parasite Eve is often totally unforgiving if you fail to pull some fancy moves in avoiding your enemies' attacks. While this type of hands-on combat makes fighting enemies less of a chore than it tends to be in most Japanese RPGs, Aya is a frustratingly slow runner, hit detection is often inconsistent, and most boss characters can be defeated through almost insultingly basic patterns. Thankfully, random encounters in Parasite Eve are not as frequent as in most RPGs - you'll rarely face more than one per screen, to the point where they become satisfyingly predictable and unobtrusive. You don't get the feeling that combat is just there to impede your progress.